Includes Pumpkin-Ale Soup, Wild Mushroom Ragout, Chipotle Bean Salad, Peanut and Sesame Sauce Tofu, Bananas Foster and hundreds more! Think slow cookers are just for stews and roasts? Not anymore! Millions of home cooks know that a slow cooker makes it easy to create delicious, satisfying, and diverse meals with a minimal amount of preparation and hands-on cooking time. 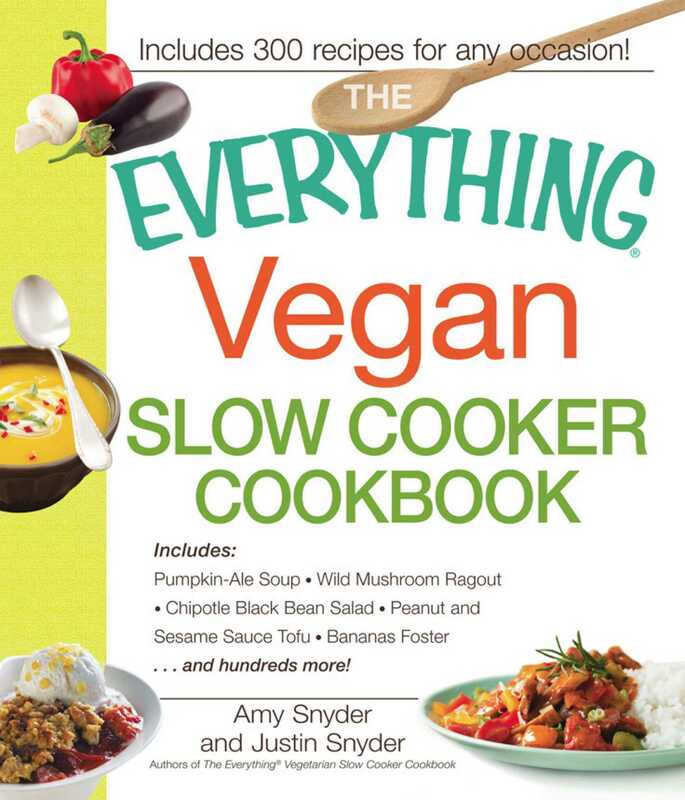 Now, with The Everything Vegan Slow Cooker Cookbook, vegan cooks can take advantage of this time-saver as well. In addition, this cookbook features all-natural, wholesome ingredients, with few processed and packaged foods. Vegans and nonvegans alike will find everything they need to create healthy dishes for any special occasion or family mealin no time at all!